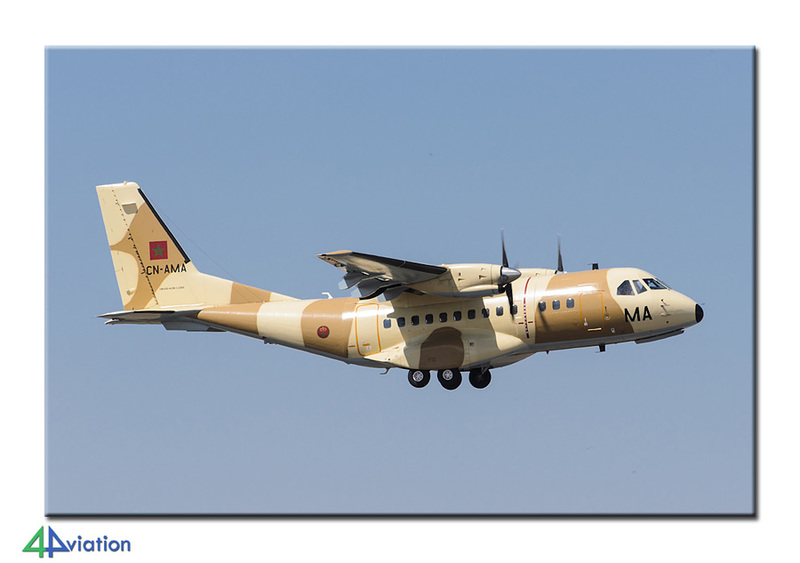 From 4 to 8 April 2012, 11 people travelled to Morocco with 4Aviation. 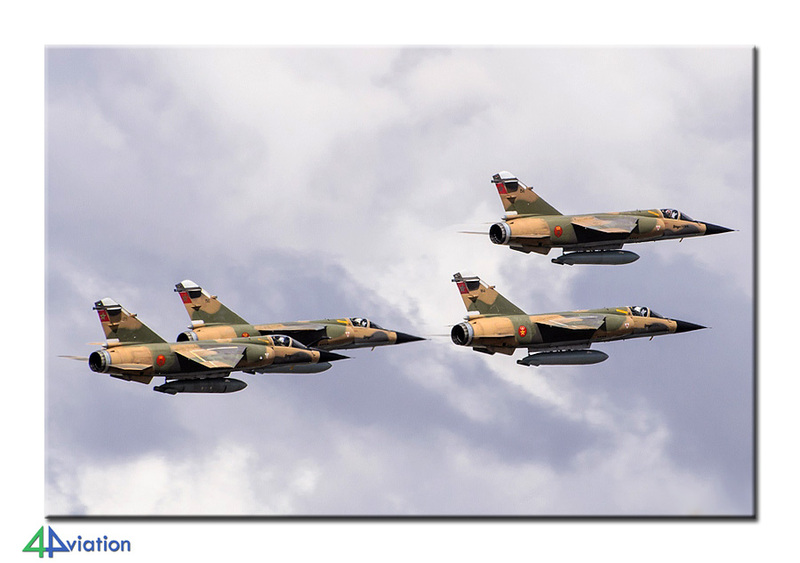 There we visited the Marrakech Air Show for the second time. After a stopover at Paris / Charles de Gaulle the group arrived late in the afternoon (Wednesday 4 April) at the airport of Casablanca. Here three things immediately became apparent: the weather outside looked different than what you would expect of a country like Morocco (rainfalls, especially inland), officials of the passport control have all the time in the world, and annoyingly enough Air France/KLM failed to get all our luggage along with us to Casablanca. It was a short 3 hour drive from Marrakech so we were happy to finally go. Thanks to the new motorway between Casablanca and Marrakech, we had the chance to have a decent arrival time, was it not that our driver had other ideas. While driving the good man was called at least 50 times, and each time while engaged in conversation the speed of the minivan dropped to below 60 km/h. Nevertheless, with a stop halfway for smokers and food, we made half past nine in the evening at our hotel in Marrakech. Everything here was sorted in no time and we could even join the restaurant for dinner. The next morning (Thursday, 5 April) the taxi company agreed to have two minivans at the hotel at 8 am. Everyone was at that time outside, keen to go, but the taxis were nowhere in sight. Time for another phone call. With apologies the first van arrived 5 minutes later (now almost a half hour late) and the second one not long afterwards. After some negotiation the taxi company after that understood that for us “8 o’clock” really meant 8 o’clock, and it must be said they transported us in Marrakech with great service for the rest of the time. The entrance to the Marrakech Air Show was not more than a 10 minute drive, and after some arrangements were made with the responsible driver moments later we were at the entrance. A good preparation pays off, our arrival was expected and our press cards were already waiting for us. From the entrance to the Marrakech Air Show grounds (normally one of the military platforms of Megara airport), shuttle buses were available, but the 500 meters were actually just as quickly and easily on foot. 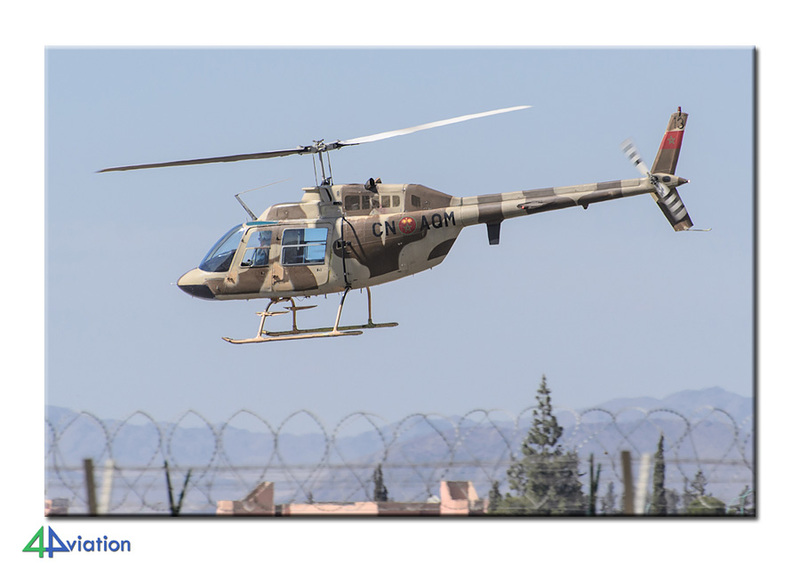 Only a baggage and person check now separated us from the Moroccan Air Force and especially their aircraft. Not much later really the whole 4Aviation group was marveling on the static display (okay… not literally… but it was beautiful!) The Thursday and Friday were not public days so we had almost free rein without much public. Of almost every (operational) type at least 1 example was on display in the sunshine. Two brand new F-16s dominated the static but also an F-5, Mirage F1, two Alpha Jets and several helicopters coloured the platform quite beautifully. The Gendarmerie had spared no expense either with four helicopters and a Turbo Trush. 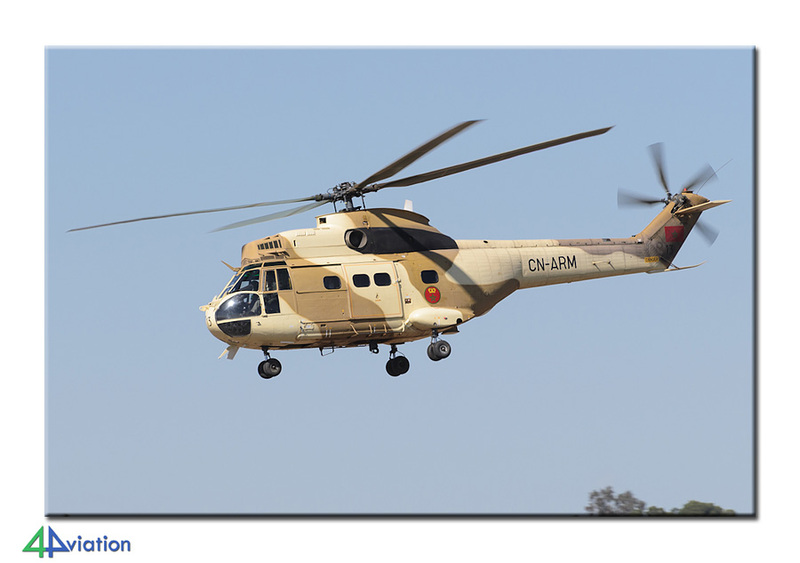 Perhaps the oddest duck in the bite was an US Army UH-72A Lakota helicopter, at first sight from Grafenwöhr in Germany but it was in reality from Fort Polk, Virginia. 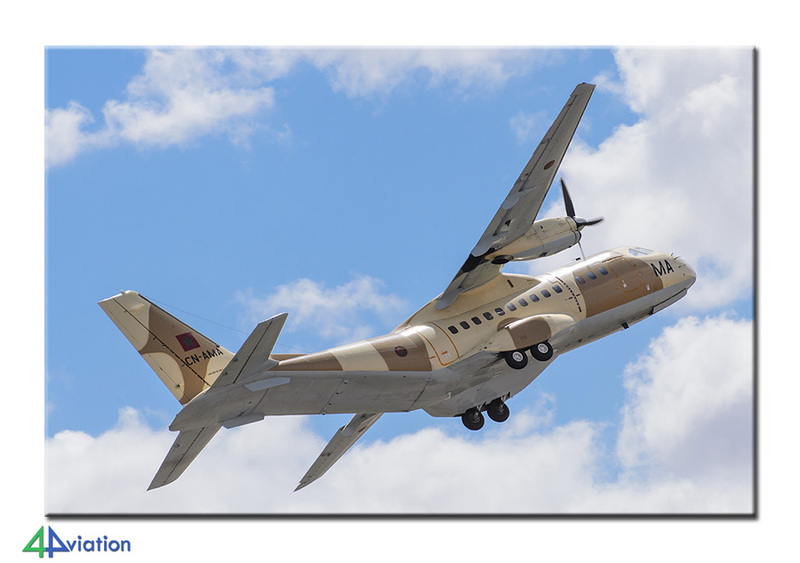 Probably they are eager to sell this type to the Moroccan Air Force. The expected bad weather had not materialized; on the contrary, it was simply a beautiful day with blue skies and white clouds! The 4Aviation group was eager to get started. 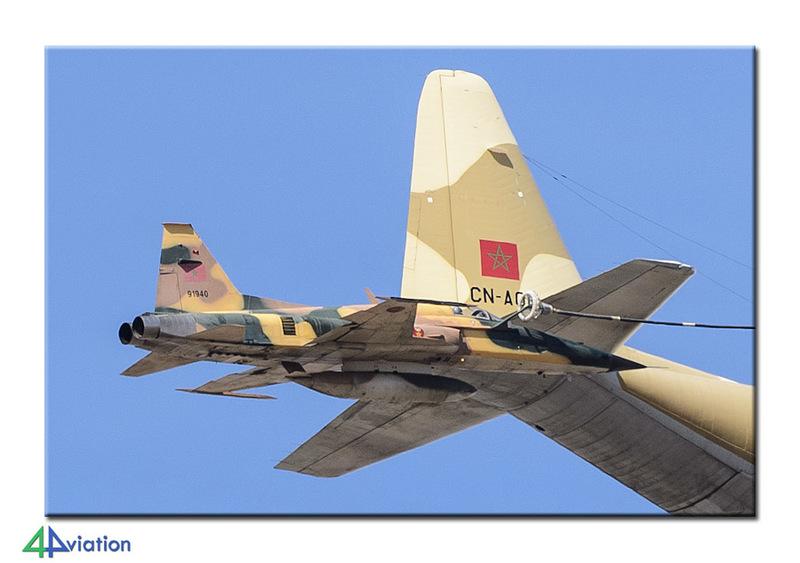 Actually, the biggest “problem” of the Marrakech Air Show is the sun in the photographers face during the flying display. For better light conditions it is advisable to be outside the airport at the opposite side of the runway. 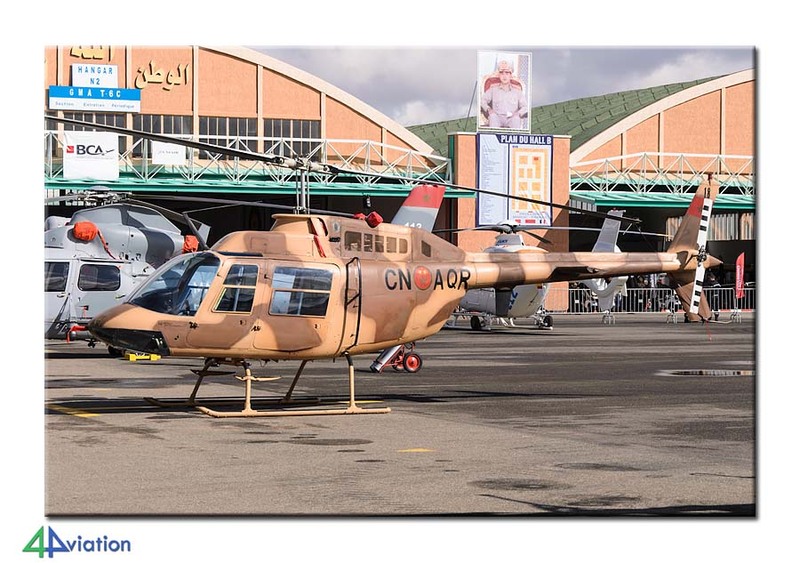 Normally this is definitely “not done” in Morocco, but during the Marrakech Air Show the authorities turn a blind eye and you can stand there without worries. After a call to the taxi company our two vans were soon waiting to take us to the other side. It took some time and effort for the drivers to understand where we wanted to go, but once there we were able to have a good look what could be the best location. Soon we came to a kind of rubble landfill between a cemetery and the wall of the airport, both from the ground and from the wall of the cemetery seemed to be a great place to photograph the fling display. First we were almost alone at this spot, but not much later we would be surrounded by the local youth who were not troubling or annoying, just noisy at times. 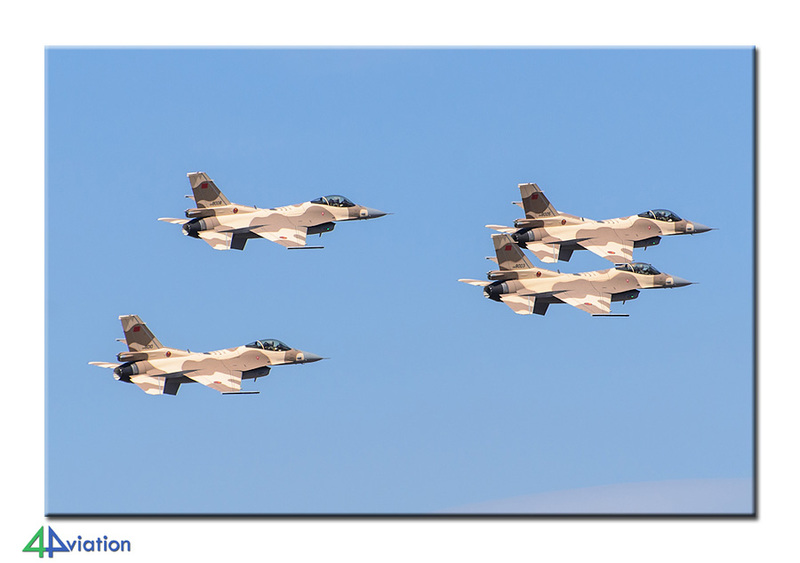 At half past three the civilian air traffic was halted and the flying program of the Marrakech Air Show began. The French military Extra 300 was nice but it was of course not what we were here for. More to our liking was the bit messy helicopter demo consisting of four Gazelles, four AB206’s, three Puma’s and an AB205; the formation of a KC-130, Mirage F1, F-5 and two F-16s; a C- 130 performing a water drop, and a formation of four Mirage F1s. The local display team March Verte with their Cap 232s concluded the flying display, all in all no more than a good hour long. After that the civilian aircraft started flying again. It was decided not to return to the expo side but straight to our hotel. For the evening part of the group decided to explore the city while the rest decided to stay in the hotel and have dinner there. The city of Marrakech is an adventure on its own which you really have to experience yourself. Especially the central and always busy square, the Djemaa el-Fna, a UNESCO world heritage, and the countless adjacent winding alleys with shops (souks) give a lasting memorable impression. The escape of persistent street traders became a sport in itself, but it never was really annoying. The program for Friday 6 April was not much different than the day before. 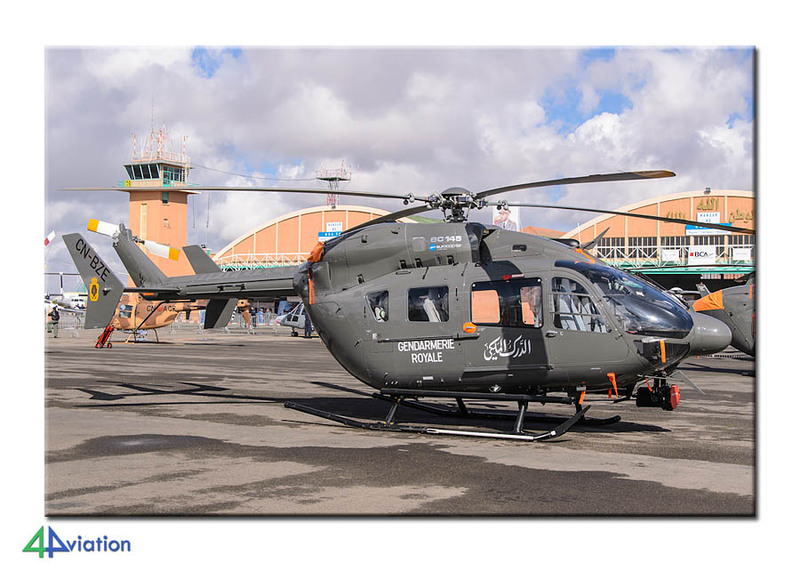 This time our two taxis were on time at the hotel, and before we knew it the whole 4Aviation group was back on the again almost deserted Marrakech Air Show grounds. Because we wanted see the helicopter display a bit closer today, it was decided not to go across the airport but stay in and around the small press center. Here we could stay in luxury, well stocked with snacks, nuts and other goodies. Unfortunately, the flying display turned out to be slightly different each day and on the Friday there was no helicopter demo, and no KC-130 formation either. Nevertheless, and despite the backlight, the press center was still a nice place for photographers and some beautiful pictures could be made there. Unlike the Thursday flight program it began with a parachute jump from a CN235; the CL-415 flew with its own water drop demo and the Mirage F1 formation was replaced by four F-16s but their pass was a disappointment for us photographers. The evening was again spent in the center of Marrakech. Provided that we would be back on time again to witness the flying display from across the airport that afternoon, the whole group had shown interest to do “something touristic” on Saturday morning (7 April). The taxi company was again very helpful, they were more than willing (obviously for a small additional fee) to take us to the nearby Atlas Mountains. Here beautiful nature photos could be made. We were also warmly welcomed in a traditional Berber house where we had mint tea and freshly baked bread. A little further on we were invited by a cooperative of women who made a local specialty: oil from Argan seeds. Again a little further down the mountain road those who were interested were given the chance to climb to a couple of waterfalls. That this was for some more strenuous than expected could not spoil the fun and the necessary climbing yielded absolutely beautiful views and photos. Luckily the ride back to town and our place near the cemetery went faster than expected and so there was still time to buy some salmon sandwiches with fries (nice combination) at a local eatery. Meanwhile, we also switched taxi, the two minivans were exchanged for a bigger bus, with a new driver, who would bring us to Casablanca later. This bus and driver were not of the same company but they hired by them. 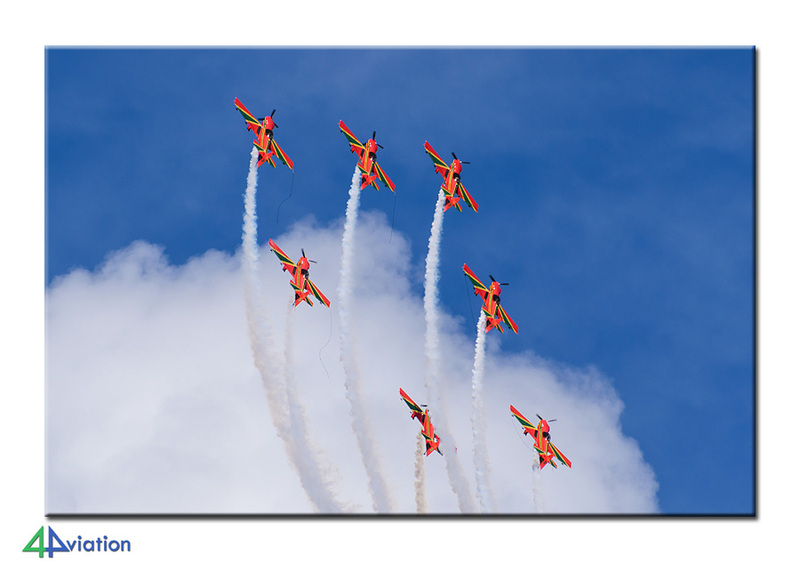 The flying display was again a variation on the previous days. 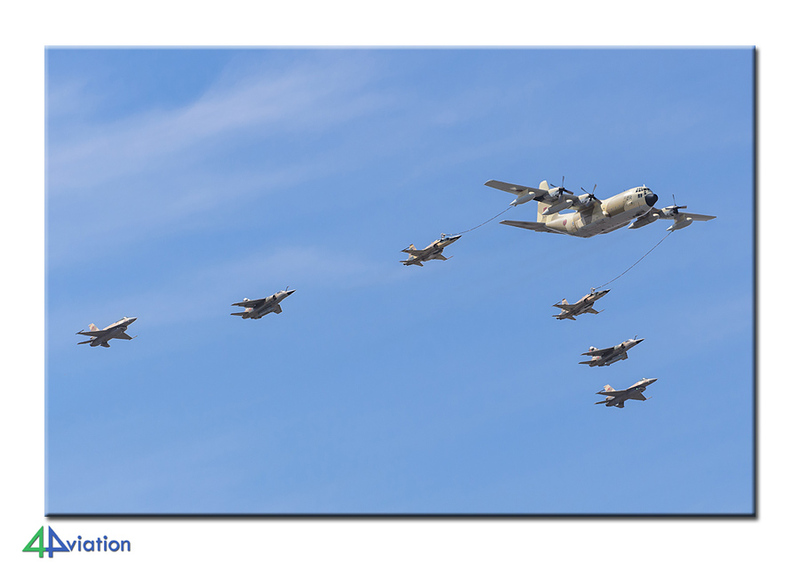 Now, the KC-130 formation was formed by no less than seven aircraft; and both formations of four Mirage F1s as well as four F-16s gave acte de présence. Especially the latter compensated the lousy flying of the day before. 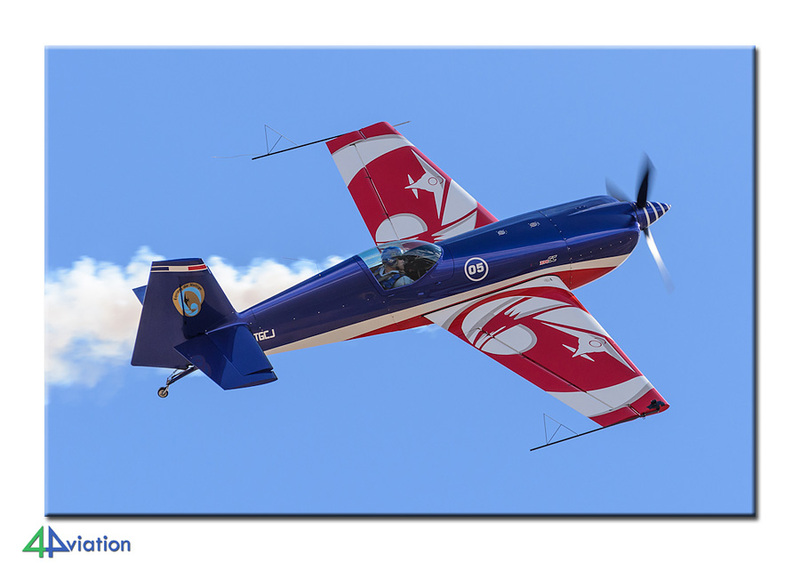 After the third March Verte displays in three days it was time to say goodbye to Marrakech and the Marrakech Air Show. The journey from Marrakech to our hotel in Casablanca took a long time and wasn’t very pleasant. This was due to a stubborn driver who could not speak English or French. Eventually we managed to pick up the missing piece of luggage (that had arrived at Marrakech 3 days late), get to the right hotel in Casablanca for the check-in and enjoy a good night’s rest. The homeward journey on Sunday 8 April included a taxi with a flat tire, a stopover in Marseille where some more spotting could be done and once at Schiphol again (completely in style) four pieces of luggage had not made the same journey as we had. Fortunately for all concerned, these were neatly delivered at the respective home addresses two days later. At Schiphol the adventure ended with goodbyes and everyone went his own way, with again a great experience, lots of good pictures and a nice list of Moroccan numbers richer.